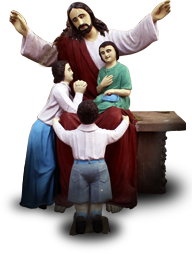 St. Francis Convent School is a branch of the Institute of the Franciscan Clarist Sisters of the Most Blessed Sacrament. The Institute, a religious society was founded by venerable Mother Seraphina, a great educationist, in Italy. The aim of the society is to educate the youth and care for the destitute. The school was opened on 14 January 1957, with five tiny children, on the convent verandah. As days passed by, the request for admission was so great that accommodation became a problem. Hence, on 10 October 1961 the foundation stone was laid for the school building. In the foundation year the K.G. Section became a co-educational primary school. In 1977, Class VI was added. After a decade it became a junior high school. In 1994 the school got No Objection certificate from the State Govt. to upgrade it to a high school and in 1995 the school got affiliated with the Central Board of Secondary Education. The first batch of class X appeared for the board examination in the year 1997. 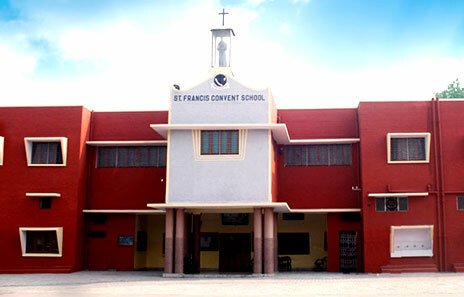 St. Francis’ Convent School, Ghatia Azam Khan, Agra U.P. is an unaided Christian Minority Institution. The school has two wings – Pre – Primary / primary and Junior / Senior. It has a council comprising Head Boy, Head Girl, Vice Head Boy, Vice Head Girl and other cabinet members. There are four Houses with varied duties and house dress. In addition, there are ten club incharges both in Juniors & Seniors.